Islamabad: Scientists from Pakistan and Bangladesh have been named as the winner of the prestigious UNESCO Prize for Microbiology. The Pakistani scientist Dr Shahida Hasnain and Bangladeshi professor Dr Samir Saha have been named by the United Nations Educational, Scientific and Cultural Organization (UNESCO) as the two laureates of the 2017 Carlos J. Finlay UNESCO Prize for Microbiology. The prize money of $10,000 will be divided between the two laureates. This prestigious prize is awarded to scientists whose research has made an outstanding contribution to microbiology and its applications. The prize will be presented to them on 6 November during the 39th session of the General Conference of UNESCO, which will bring together the organisation’s 195 member-states between 30 October and 14 November, said a UNESCO statement issued on 17 October. 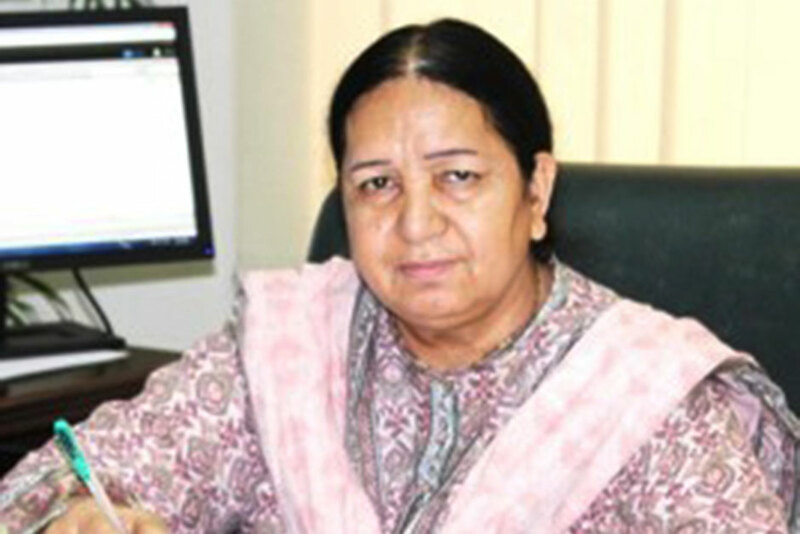 The Pakistani professor, Dr Shahida Hasnain, is the founder and Chairperson of the Department of Microbiology and Molecular Genetics at the University of Punjab in Lahore, Pakistan. Her department is today recognised as a centre of excellence both for its equipment and expertise. “Professor Hasnain significantly contributed to advances in research in environmental, agricultural and medical microbiology. She has notably worked on the heavy metal detoxification mechanisms, salt stress tolerance mechanisms, and bacterial morphogenesis,” the UNESCO statement noted. Dr Shahida Hasnain completed her doctorate from Birmingham University, United Kingdom in the field of Microbial and Molecular Genetics in 1985. Later she completed her post-doctorate studies from the same university in Molecular Biology in 1995. Dr Shahida Hasnain has published more than 250 articles in various national and international journals. She has won several distinctions for her work including UNESCO/ROSTSCA Award for Young Scientist (from Central and South Asian region) in 1988, Fatima Jinnah Gold Medal in 2006 by Government of Punjab, Pakistan and Star Laureate 2007 in Science and Technology by South Asia Publications 2008. Pakistani scientist will share the award with a Bangladeshi scientist, Dr Samir Saha, who is the head of the Microbiology Department of the Dhaka Shishu Hospital for children in Bangladesh. He is also the Executive Director of The Child Health Research Foundation at the Bangladesh Institute of Child Health. As leading researcher in paediatrics, Dr Saha has played a significant role in the introduction of vaccines in Bangladesh. For more than a decade, he has been performing surveillance on invasive childhood diseases in Bangladesh. Dr Saha has published more than 100 papers in peer-reviewed journals, mostly exploring the topics of childhood pneumonia and meningitis. The two laureates from Pakistan and Bangladesh were named by Irina Bokova, Director-General of UNESCO, on the recommendation of an international jury of experts in microbiology. The Carlos J. Finlay Prize for Microbiology has an endowment of $10,000, which will be divided between the two laureates. Created in 1977 by UNESCO at the initiative of the Government of Cuba, the prize rewards scientists whose research has made an exceptional contribution to the field of microbiology.